Considering a Ducted Air Conditioning System? A ducted aircon system is ideal when you want to heat / cool multiple rooms as they allow you to control the climate in your home at the touch of a button. Whatever the season, you set the optimal temperature in your home or office, controlling how hot or cold you’d like it to be. As Ducted Aircon specialists, New Zealand Heat Pumps supply and install only the best brands of ducted systems. We’re registered Fujitsu Ducted System installers, experienced and knowledgeable about all aspects of these systems from concept planning through to installation we will ensure you get the right solution for your home, business or building. Our service is backed by a 6 year Parts & Labour warranty. With our Fujitsu ducted heat pump systems you can have all rooms heated / cooled at the same time enabling you to move from room to room in superior comfort. Vents are strategically located in the rooms to ensure tempered air flow. There is a size heat pump to suit most homes, from 6KW through to 16KW. We commonly install ceiling vents however if you have sufficient room under the floor, floor vents can be installed. Return vents with filters are added to create a balanced air system – these are important as they also filter out dust spores that enter your home to create a healthy living environment for your family. The design element of your heat pump solution is very important to the overall performance of your heat pump system. We will ensure that the correct sizing of the ducting, grills and equipment for your situation are installed to ensure the correct air volumes go to the right rooms. We use the latest computer software to aid us in designing the best system for your home to ensure the system will have low running costs and provide you with quiet operation. Too often we are asked to come to other contractors installations to fix ducted systems that are noisy or have high running costs – this can avoided by getting the job done right in the first place. We’re accredited Fujitsu installers. 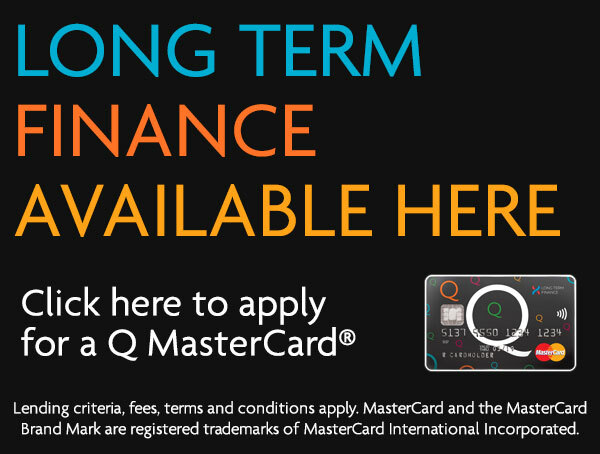 This means our service is backed up by a 6-year Parts & Labour warranty. Fujitsu’s range of energy efficient heat pumps have long been winners, offering a range of heating capacities from 6kW to 28kW. With their Ducted Systems, Fujitsu are again coming out tops. The Fujitsu Ducted Aircon System allows you to control the heating and cooling in each room or zone in your home or office. 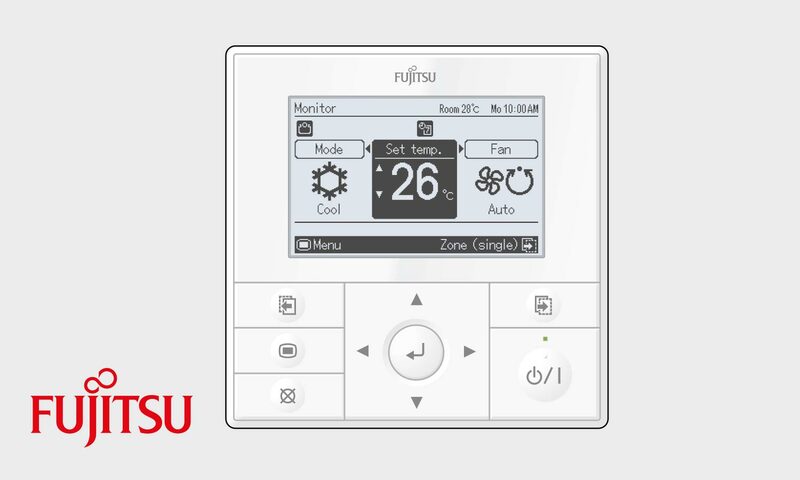 A new product release from Fujitsu and a world first for Ducted Systems, the zone control interface connects to the entire ducted system and slows down the fan speed when a portion of the house is turned off. That means if you are just heating or cooling one room in your home, the fan speed is moderated, both an energy saving and comfort feature. We have a large range of grills to choose from, plastic, and powder coated aluminium, in many sizes. We have been known to get wall grills powder coated locally to the same colour of the walls! Many of our ducted systems can have zone control options added to them, so that you can control which rooms you want heated/cooled. A clever idea to save money on the running costs of the unit. 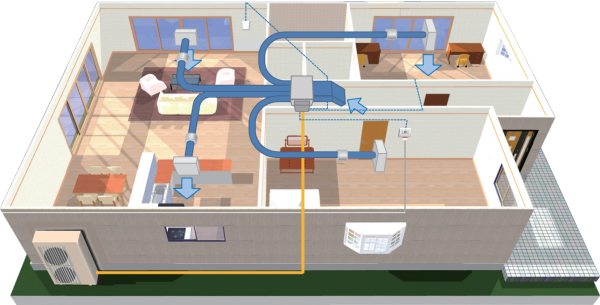 How Does a Ducted System Work? Unlike a wall mounted heat pump a ducted system is able to heat or cool several rooms. Ducted systems are packed with features to make heating and cooling your home a whole lot easier. Along with an excellent energy rating and efficiency, ducted systems include a number of modern features such as weekly timers, temperature set-back timer, auto-changeover and group control. Is it possible to have a ducted system that is hidden behind the walls / ceiling? The indoor unit is completely inconspicuous, usually hidden within the ceiling. Cool or warm air is circulated into each room via ducting positioned in the floor or ceiling through small vents. What about the outdoor unit? The outdoor unit is installed outside your home and connected to the indoor unit using insulated copper piping. We will ensure this is placed in the best possible place to reduce noise, possible tampering and access for cleaning. How is the air circulated in the ducted system? Ceiling outlets are installed throughout your home to quietly and efficiently distribute the warm or cool air. Inside the return air grille is a washable filter that filters air passing through it, removing dust and dirt particles – especially important for airborne allergens. I only have a small ceiling space, can I still get a ducted system installed? Yes for smaller ceiling spaces we recommend the Slim-line ducted unit. These are ideal because of their compact 270mm height. I don't have any ceiling space, how can I get a ducted system installed? Yes, we have a unit designed for single rooms where the ceiling space does not allow for a traditional ducted system. 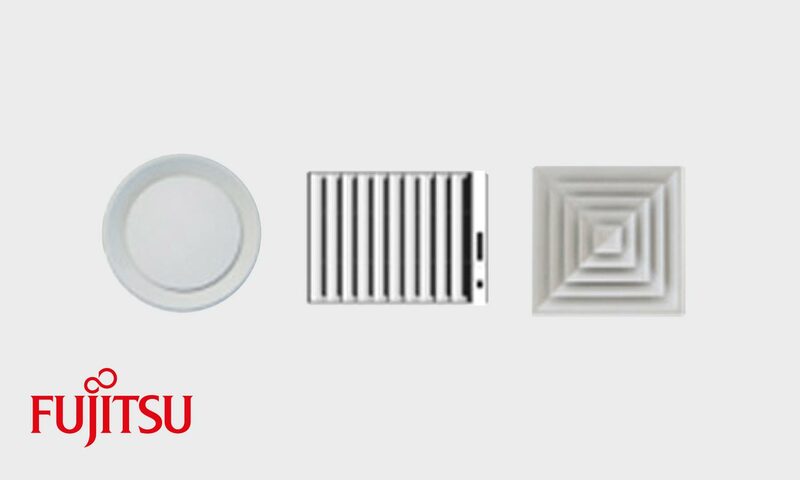 Bulkhead Ducted Units are compact in design and can be installed into the cavity of your ceiling, at floor level or in a wall bulkhead in your room. It is easy to set the desired temperature and control your climate. Simply choose energy saving mode or set the timer using the remote control to your desired level. Do you only have hand held remotes? Not any more! In most ducted system installations we will install a wall-mounted controller to provide you with state-of-the-art control and ease of use. An easy-to-read LCD panel, with icon display, and daily or weekly timers mean you can set the perfect temperature in your home every time you need it. I heard about a Temperature Remote Sensor - do you have these? Yes, an optional thermo sensor can be fitted to detect temperature at a different location to that of the sensor located at the indoor unit. How does the ducted system know when to turn on and off? The Room Temperature Sensor constantly monitors the room temperature, switching the unit on or off to achieve the exact temperature you’ve selected. And you can preset different temperatures for day or night. How much does it cost to install a ducted system? It’s surprisingly affordable! To find out more about installing a ducted heating system in your home, call New Zealand Heat Pumps today on 0800 200 400.